Chapped, cracked lips are no fun during the fall and winter. Especially when you might have some puckering up to do. If you’re suffering from a case of dry lips then heal them and keep them away with this simple trick. All you will need is a scoop of Vaseline and a toothbrush. Try performing these steps at nice to help exfoliate your lips and to allow the oils to penetrate them. Step 1: Completely slather your lips with petroleum jelly. Step 2: Use a toothbrush to massage in the jelly in a circular motion. Don’t brush too hard and be gentle. Step 3: Finally, remove any excess petroleum jelly and be careful not to get it on the areas outside of your lips to prevent the spurring of a pimple. 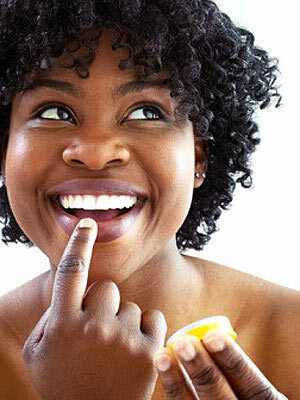 Brushing your lips helps to stimulate your lips and leaves them soft. Repeat nightly and you should see an improvement in the moisture of your lips.